As far as history-spanning, full-on conquests and religious iconography go, few objects have a more fantastical, bloody, and legendary tale than the Holy Grail. From medieval crusades to Indiana Jones and The Da Vinci Code, the cup of Christ is one chalice with a spectacularly wicked narrative that spans well over 900 years. Said to give the drinker immortal life, the cup is as much pop culture reference as it is a holy relic; one that has been on the minds of the world for almost a millennium. The all-encompassing infatuation has expanded throughout Western art and literature, and all began, according to legend, with Joseph of Arimathea’s trek to bring it to the British Isles, where it became the main quest for King Arthur’s round table knights. From being shared among the disciples at the Last Supper to capturing the blood from Christ as he was crucified, the tale is fantastical, long, and full of adventure. The Holy Grail, as we’ve come to know it today, is a vessel of sorts (depending on story tradition, can be a dish, stone, chalice, etc.) promising eternal youth, riches,and happiness in abundance to whoever holds it. The main motif of Arthurian legend and literature, the storyline becomes varied throughout its different adaptations and translations, from being a precious stone that fell from the sky to being the cup that caught the blood of Christ during his crucifixion. Distinctly, the word grail, as it was known in its earliest spelling, indicates an Old French word of “graal” or “greal” along with Old Provencal “grazal,” and Old Catalan “gresel,” which all roughly translate into the following definition: “a cup or bowl of earth, wood, or metal.” Additional words, such as the Latin “gradus” and the Greek “kratar” suggests that the vessel was one that was used during a meal at different stages or services, or was a winemaking bowl, lending the object to be associated with the Last Supper as well as the Crucifixion during medieval times and throughout legendary literature surrounding the Grail. The first written text of the Holy Grail legend appeared in the Conte de Graal (the Story of the Grail), a French text written by Chretien de Troyes. Conte de Graal, an Old French romantic verse, varied from other translations in it’s main characters, but the story arc, which illustrated the story from the Crucifixion all the way to King Arthur’s death, was similar and created the base for future tellings of the legend and also cemented the object as a cup in (then) popular culture. Conte de Graal was written on the claims of Chretien that his patron, Count Philip of Flanders, provided an original source text. Unlike modern understanding of the story, the legend at this time had no holy implications as it would in later tellings. In the Graal, an incomplete poem, the Grail was considered to be a bowl or dish rather than chalice and was presented as an object at the table of the mystical Fisher King. As part of the dinner service, the Grail was the final magnificent object presented in a procession that Perceval attended, which including a bleeding lance, two candelabras, and then the elaborately decorated Grail, which at the time was written as “graal”, not as a holy object but as a common noun. In the legend, the graal did not contain wine, or fish, but instead a Mass wafer, which cured the Fisher King’s crippled father. The healing, or sustenance of only the Mass wafer, was a popular occurrence during the time, with many Saints being recorded as only living on the food of communion, such as Catherine of Genoa. This specific detail has been historically significant and understood to be de Troyes indication that the wafer was, in fact, the important detail of the story, the carrier of eternal life, instead of the actual chalice. However, the text of Robert de Boron, during his verse Joseph D’Arimathie, had other plans. Considered to be the beginning of the more recognized definition of the Holy Grail, despite the influence and trajectory of de Troyes text, de Boron’s work is what solidified our modern understanding of the Grail. De Boron’s story, which follows the journey of Joseph of Arimathea, begins with the acquiring of the chalice at the Last Supper to Joseph’s use of the chalice to collect the blood from Christ’s body while he was on the cross. Because of this deed, Joseph is jailed, and placed in a stone tomb similar to that which held Jesus body, where Christ appears to tell him of the mysteries of the cup. According to the legend, Joseph was kept alive for several years of imprisonment due to the power of the Grail bringing him fresh food and drink daily. Once Joseph is released from his captors, he gathers friends, family, and other believers and travels to the west, particularly Britain, where he begins a following of Grail keepers that ultimately includes Perceval, the hero of de Troyes adaptation. Stories have Joseph and his followers settling at Ynys Witrin, also known as Glastonbury, where the Grail was housed in a Corbenic castle and guarded by the followers of Joseph, who were also called the Grail Kings. Many centuries later, after the Grail and the Corbenic castle had been lost from memory, the court of King Arthur received a prophecy that the Grail would one day be rediscovered by a descendent of the original keeper, St. Joseph of Arimathea. Thus began the quests for the Grail, and the many adaptations of its finder throughout history. Other notable medieval texts included Wolfram von Eschenbach’s Parzifal (early 13th century) and Sir Thomas Malory’s Morte Darthur (late 15th century) when the original French romances were translated into other European languages. Scholars, however have long mused that the origins of the Holy Grail text can be traced even further back than Chretien, by following the mystical legends of Celtic Mythology and Greek and Roman Paganism. Long before medieval writers began writing on the Holy Grail as part of British mythology, the Arthurian legend was a well-known story. The Grail appears in the Mabinogion tale of Culhwch and Olwen, as wall as the story of Preiddeu Annwfn known as “Spoils of the Otherworld,” which was a tale told to Taliesin, a poet and bard during the 6th century Sub-Roman Britain. This tale tells a slightly different story, with Arthur and his knights making a voyage to the Celtic Otherworld to steal the pearl-rimmed cauldron of Annwyn, which similar to the Grail, gave the holder everlasting plenty in life. While the knights discovered the cauldron at Caer-Siddi (also known as Wydr in other translations), a castle made of glass, it was of such power that Arthur’s men abandoned their quest and returned home. This adaptation, although lacking in the Christian reference, is similar to the story of a chalice due to the fact that Celtic cauldrons were regularly used in ceremonies and feasts as early as the Bronze Age on the British isles and beyond. Great examples of these works include the Gundestrup cauldron, which was found in the peat bog of Denmark, and very decorated with Celtic deities. These vessels would have held many gallons of liquid, and are important in many other Arthurian legends or Celtic mythologies. The Cauldron of Ceridwen, the Celtic goddess of inspiration, is another legendary figure that was previously associated with the Grail. Ceridwen, viewed by the Christians of the period to be a condemned, ugly and evil sorceress, was an important figure in pre-Christian mythology and was the holder of great knowledge, which, according to legend, used her cauldron to mix a potion of knowledge that allowed the drinker to possess the knowledge of all things past and present. When one of Arthur’s knights drink from this potion, he defeats Ceridwen and takes the cauldron for his own. However, after de Boron’s account of the Grail, the legend solidified outside of the Celtic and pagan interpretation and acquired two schools of contemporary study that was closely tied to Christian tradition, between the King Arthur’s knights questing after the grail to the Grail’s history as the timeline of Joseph of Arimathea. Important texts from the first interpretation include de Troyes, as well as the Didot Perceval, the Welsh romance Peredur, Perlesvaus, the German Diu Crone, as well as the Lancelot passage of the Vulgate Cycle, also known at The Lancelot-Grail. The second interpretation includes the texts Estoire del Saint Graal from the Vulgate Cycle, and verses by Rigaut de Barbieux. After the Middle Ages, the story of the Grail disappeared from popular culture, literature, and texts, until the 1800’s when a combination of colonialism, exploration and the work of writers and artists such as Scott, Tennyson, and Wagner revived the medieval legend. Adaptations, explanations, and complete rewrites of the legend became fantastically popular in art and literature. Hargrave Jennings’ text, The Rosicrucians, Their Rites and Mysteries, gave the Grail a sexual interpretation by identifying the Grail as female genitalia, as did the late opera of Richard Wagner, Parsifal, which premiered in 1882 and developing the theme of associating the Grail directly with blood and female fertility. Art and the Grail had an equally vibrant rebirth, with Dante Gabriel Rossetti’s painting, The Damsel of the Sanct Grael, as well as the mural series by artist Edwin Austin Abbey, which illustrated the Quest for the Holy Grail, during the 20th century as a commission for the Boston Public Library. Also during the 1900s, creatives like C.S. Lewis, Charles William, and John Cowper Powys continued the infatuation of the Grail. Once motion picture became the popular storytelling medium, films began to arise carrying the Arthurian legend further into the public eye. The first was Parsifal, an American silent film debuting in 1904, which was produced by the Edison Manufacturing Company and directed by Edwin S. Porter, and was based on the 1882 opera of the same name by Wagner. The films The Silver Chalice, a 1954 adaptation of a Grail novel by Thomas B. Costain, Lancelot du Lac, made in 1974, Monty Python and the Holy Grail, made in 1975 and later adapted into a play called Spamalot! in 2004, Excalibur, directed and produced by John Boorman in 1981, Indiana Jones and the Last Crusade, made in 1989 as the third installment of Steven Spielberg’s series, and The Fisher King, which debuted in 1991 starring Jeff Bridges and Robin Williams, followed the Arthurian tradition into the 21st century. Alternative versions of the story, which assume the Grail is more than a chalice, include the popular Holy Blood, Holy Grail (1982), which combined the “Priory of Sion” story along with that of the Grail, and indicated that Mary Magdalene was the actual chalice, and that Jesus had survived crucifixion to have children with Mary, founding the Merovingian dynasty, a group of Salian Franks that ruled the region known as Francia for over 300 hundred years during the mid-5th century. 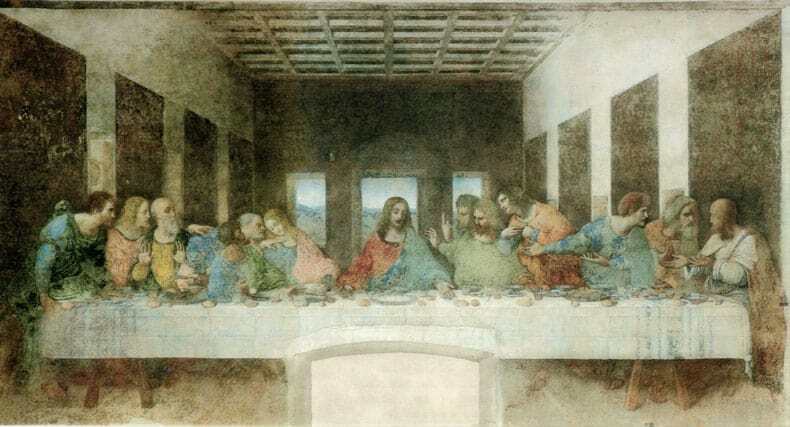 This storyline is equally popular today with Dan Brown’s New York Times Bestseller and film adaptation The Da Vinci Code (2003), which further popularized the legend that Mary Magdalene and Jesus’ descendents were the actual grail rather than a chalice. The Holy Chalice of Valencia, housed in the mother church of Valencia, Italy, is one such relic that includes archaeological facts, testimonies, and documents that places the particular object in the hands of Christ on the eve of his Passion and also provides an actual object for fans of the legend to see. In two parts, the Holy Chalice includes an upper part, the agate cup, made of dark brown agate that archaeologists believe has an Asian origin between 100 and 50 BC. The lower construction of the chalice includes handles and a stem made of engraved gold and an alabaster base with Islamic origins that allows a handler to drink, or take communion, from the cup without touching the sacred upper section. Together, along with the jewels and pearls along the bottom and stem, these ornamental bottom and outer pieces are said to have originated during the medieval period. Tradition places this particular chalice as the Holy Grail, and has been said to have been used by Saint Peter, and kept by the following popes until Saint Sixtus II, when it was sent to Huesca in the 3rd century to deliver him from the interrogation and persecution of Emperor Valerian. From 713 AD, the chalice was held in the Pyrenees region before being delivered to San Juan de la Pena. In 1399, the relic was given to Martin “the Human,” who was the King of Aragon, to be kept in the Aljaferia Royal Palace of Saragossa. Nearing 1424, the successor to Martin, King Alfonso the Magnanimous, sent the chalice to the Valencia Palace, where in 1473, it was given to the Valencia Cathedral. Housed in the old Chapter House in 1916, later called the Holy Chalice Chapel, after being taken to Alicante, Ibiza, and Palma de Mallorca to escape Napoleon’s invaders, the holy relic has been part of the reliquary of the Cathedral since, where it has been viewed by millions of the devout. Whether you believe the Christian version, the Celtic versions, the Scion versions, or even perhaps none of the versions in their entirety, the Holy Grail has been a fascinating legend that has captivated the imaginations of people for well over a two centuries. Have any new cracks to the case? Leave your notes and details about the continuing legend of the The Holy Grail Legend below! We’ll see you out on the Quest!